How to add number of days to a date? Question: How to add number of days to a current date? It would add 10 days to the current date. 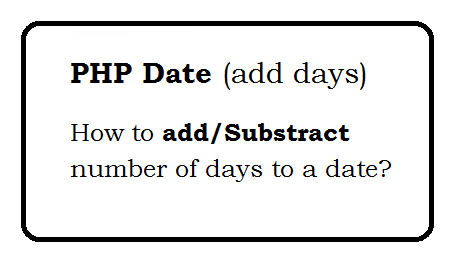 Question: How to subtract number of days to a current date? It would subtract 10 days to the current date. Question: How to add number of days to a on given date? Question: How to subtract number of days to a given date?